ikat bag: Menagerie Pattern Early Next Week! We're almost there, friends! I am sooooooooooooooooo excited! In the meantime, as promised, here are some screenshots of pertinent pages of the pattern, for your preview (and preparation) pleasure. 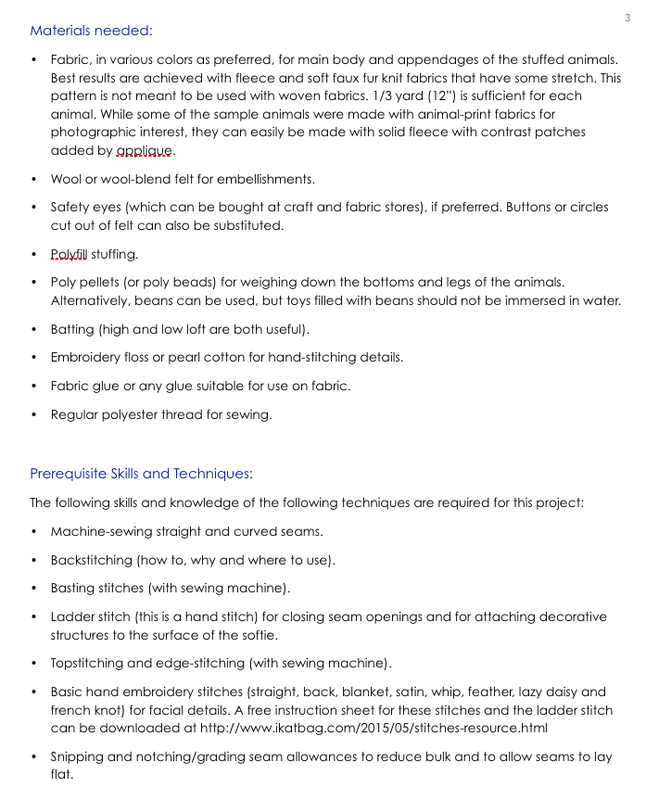 First, the introduction section containing information on equipment and skills and material that you need to tackle the projects. 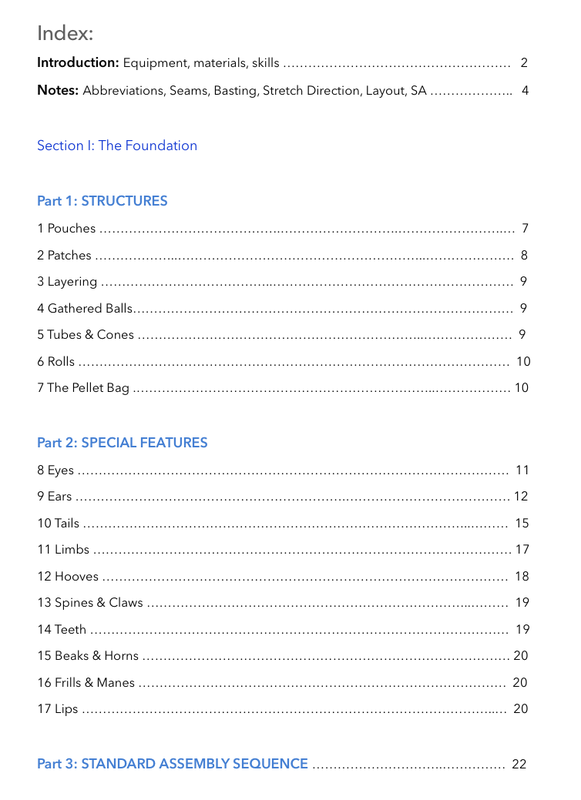 Next are the index/contents pages, so you know what you'll be getting, and how it's all organized, and why it isn't just "a bundle of seventeen individual animal patterns". 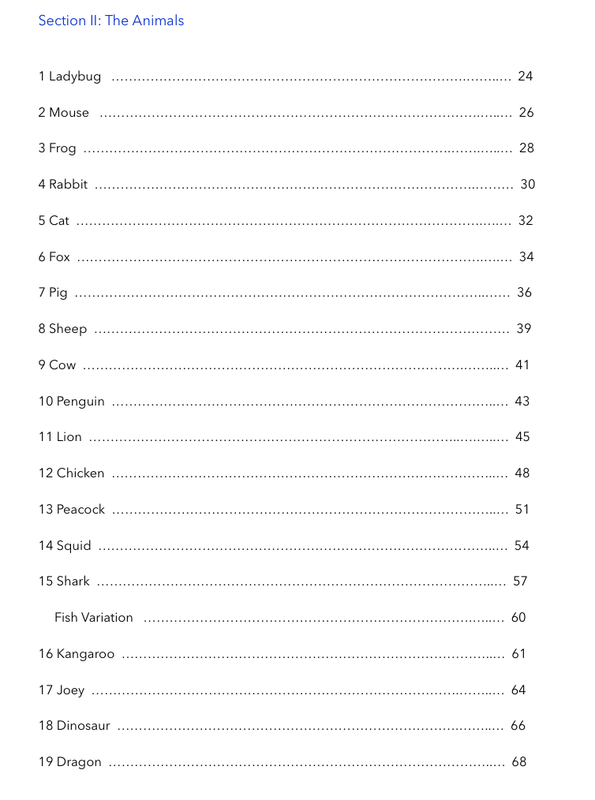 Remember, this is designed like a softie primer, meaning the main aim is not just to provide you with templates for making x number of identically-shaped animals but to teach you how to design standard animal features (limbs, tails, ears, etc.) that you can use for other softies in your life, not just the ones of Menagerie. 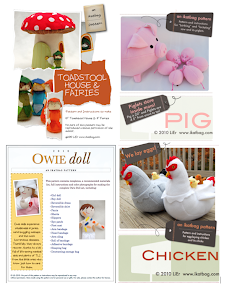 4 are diagram pages for assembling, adapting and varying the templates. 2 The Squid is included. The Fish is partly included. 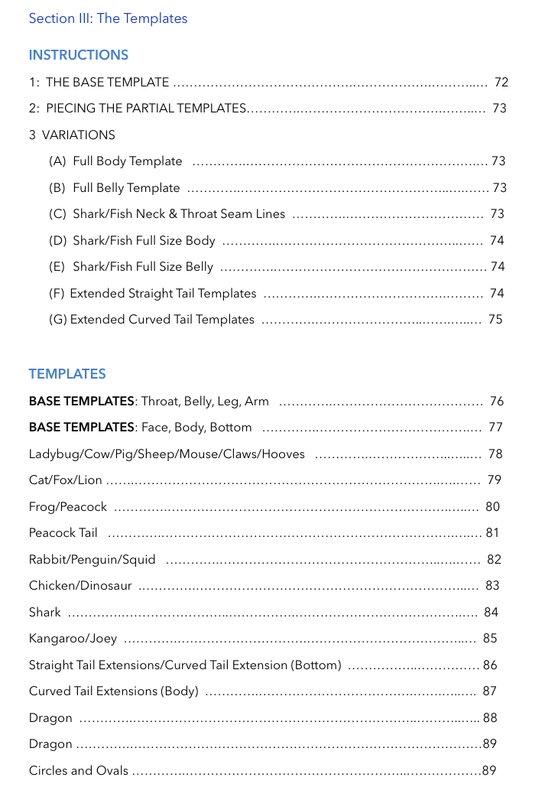 This means that there are instructions for adapting the base template to make the Fish templates, and there are instructions for making the fish lips, but there are NO actual fish templates for fish fins and fish eyes and so on. 3 You will need a program for reading pdf documents as well as a printer for printing out templates. You also need to know how to set your printer to print things at 100%. This means that if your printer has the bad habit of choosing its favorite scale (they call it "print to fit") as its auto-setting, you need to know how to override that and force it to obey you and give you what YOU want. This is easier than it sounds - all printer settings have this function, and it's usually as simple as clicking one of the options in a menu on your computer screen, but not all of us know where to find that and don't realize that printers can sometimes be sneaky behind our backs and try to get away with murder unless you show them who's boss. How do you know if your printer is evil? Answer: if you know exactly what I'm talking about in this paragraph, you're in control. If you're like, "What? There are different sizes? I thought I just hit 'print' and the printer does everything," you probably need to ask someone for help. I am excited FOR you, LiEr, and honored that you chose me to be a small part of the launch of your pattern! It is amazing, folks! 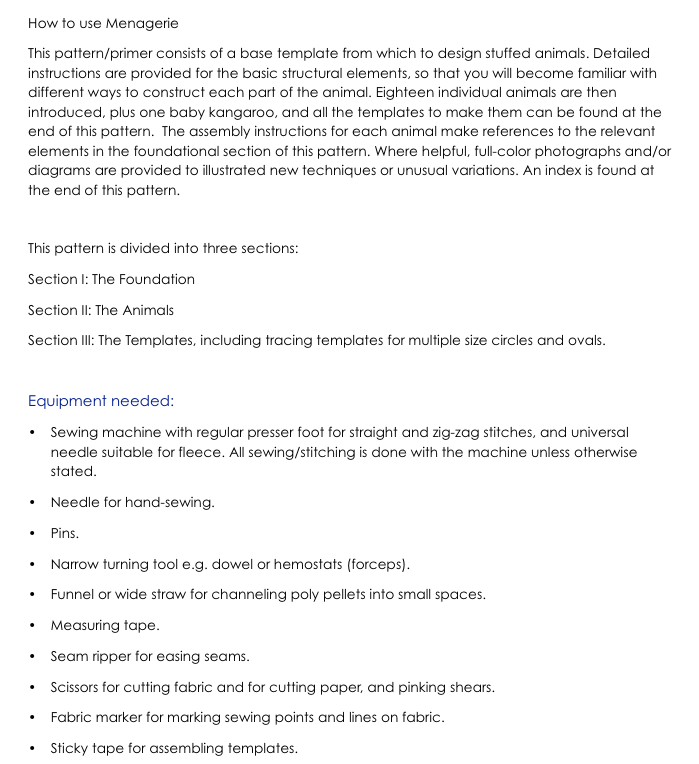 You will learn so much from this pattern - it's like mini sewing lessons along with the templates and instructions for each animal. You will love it! I know I do. I can't wait to see all the critters that will be created by you! Meanwhile, you're waiting for me to finish up with the testing so you can get started on your own. I'm sorry it's taken so long. It's not that the animals are hard or even that time-consuming to sew... it's just that this is such a busy time of year for me that sewing time is quite limited. But we're almost there..... ! I am so excited! I loved the menagerie you created and I'm excited to start one of my own! Thanks for all of your hard work on the project. Yay! I am ready. I will need to purchase it with a credit card. My sewing machine is ready. 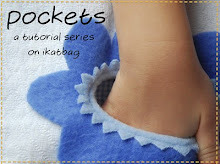 This pattern sounds like a mini sewing course! I'm so excited also! I like the animals but I love the bags! and this is why your pattern will be worth the investment: "to teach you how to design standard animal features (limbs, tails, ears, etc.) that you can use for other softies in your life, not just the ones of Menagerie." give a man a fish or feed him for life! I am ecstatic I have just bought the pattern!